As you begin reading this post, consider a few questions. When was the last time that you heard God speaking to you? When was the last time you actually became still so you could listen? And what was your response the last time you felt God tugging at your arm, inviting you to a place that you really didn’t care to go? Truly, one need only to listen for God’s voice. He speaks to His people continually. Invading our everyday lives, God captures our attention in significant ways, inviting us to a life filled with the extraordinary gift of His grace. Even as He comes to us through what seem to be ordinary means, our heavenly Father draws us in, promising the gift of His presence will be nothing short of miraculous. 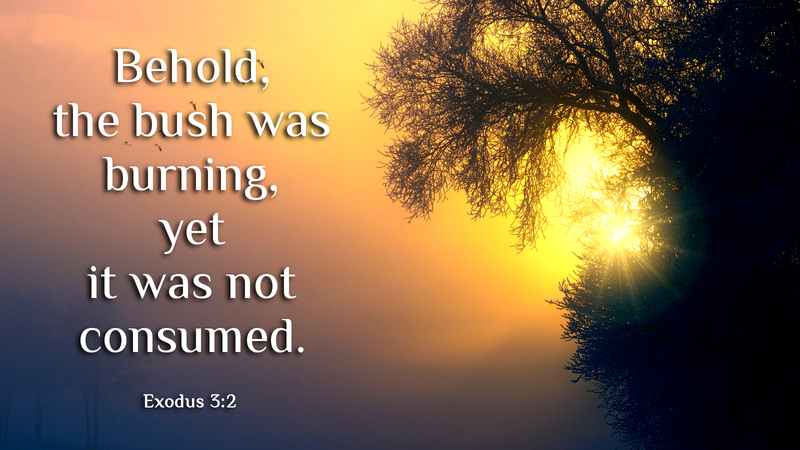 With Moses, God used a simple bush set ablaze, yet it was not consumed by the flames. The bush caught Moses’ eye, made him pause and contemplate what forces might be at work. God could have used much more powerful means to get Moses’ attention. The burning bush was enough to cause Moses to take notice of God’s presence. Each day, God puts burning bushes in our path. A woman sitting at a bus stop, a homeless person staking claim to a park bench. Yes, they are ordinary occurrences, but could they be more? Could they be means by which God is getting your attention? Most certainly! Tune in. Pay attention. Turn aside as Moses did and listen for God’s voice as he calls you. Prayer: O Lord speak to me your Word, for your servant is listening. Amen. This entry was posted in Discipleship and tagged Burning bush, Christian, Christianity, Disciple, Discipleship, Exodus, Faith, Faithful, Moses, Spirituality. Bookmark the permalink.